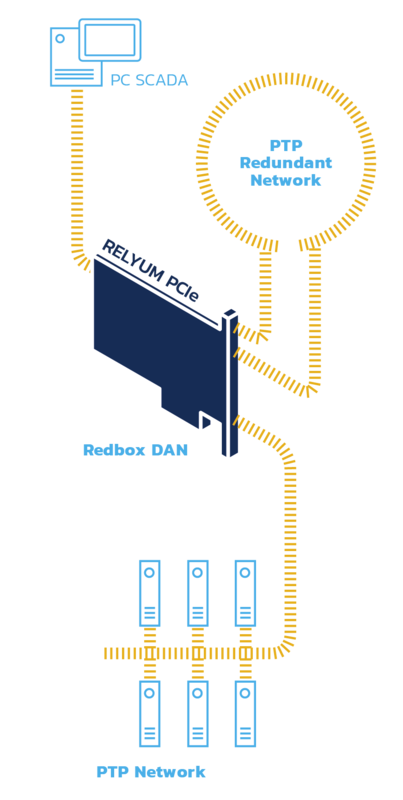 RELY-SYNC-HSR/PRP-PCIe can be used in different applications as a multi-media PCIe Redbox-DAN, operating as an HSR/PRP node of a high-availability network and connecting an Ethernet network segment with an HSR/PRP network. PCI Express (PCIe) is the most extended high-speed serial computer expansion bus. It is the de-facto standard for expansion boards in PC computers and it is gaining acceptance in Industrial PCs and even in SCADA systems. RELY-SYNC-HSR/PRP-PCIe is a smart pluggable board that comprises in the same device hardware and software resources to implement specialized networking, synchronization and security oriented services. The device uses dedicated hardware for low latency switching and for implementing high accuracy clock synchronization based on IEEE 1588 standard. 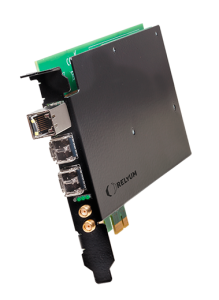 These key features makes RELY-SYNC-HSR/PRP-PCIe platform the most reliable and multipurpose networking device for critical environments.